Borussia Dortmund midfielder Axel Witsel has revealed the reason behind his move to the club during this summer’s transfer window. The Belgian international player sealed a move to the German Bundesliga leaders in the summer despite the fact that other European heavyweights were keen for him to join their respective playing squads. 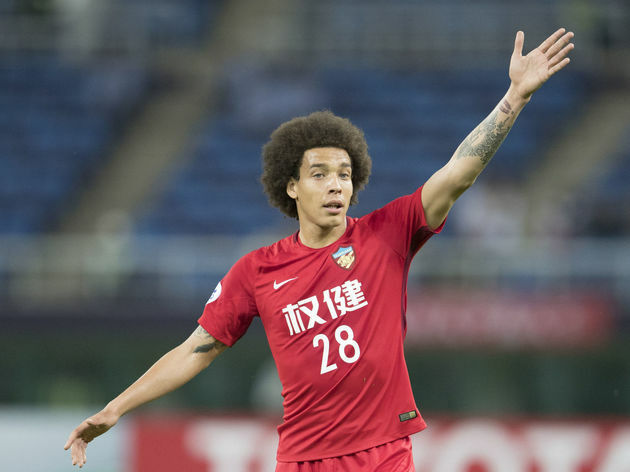 Axel Witsel swapped Chinese Super League outfit Tianjin Quanjin for Borussia Dortmund after both clubs agreed to a fee of around £18m for him. Manchester United were strongly linked with him in the summer before he joined Dortmund. French Ligue 1 champions Paris Saint Germain (PSG) and German Bundesliga giants Bayern Munich were also keen on him. Axel Witsel was in high demand amongst the big clubs due to his heroics for the Red Devils of Belgium at the 2018 FIFA World Cup tournament in Russia. He was part of the team that finished third under the guidance of manager Roberto Martinez. The Belgian midfielder spoke about his move to Borussia Dortmund in a chat with German newspaper Bild. According to Axel Witsel, Dortmund was the right choice for him. Manchester United’s interest in him has been renewed after Jose Mourinho scouted him during Belgium’s 2-0 win at home to Iceland in the UEFA Nations League last month.